Canadian prime minister Justin Trudeau announced on Monday that Pakistan’s wonder teenager (19) and Nobel laureate Malala Yusufzai will visit Canada on April 12, 2017 to address the Canadian parliament and officially receive the honorary Canadian citizenship bestowed upon her by former prime minister Stephen Harper, an Israeli poodle. Harper planned to present the award in Toronto on October 22, 2014 but the event was cancelled as result of a false flag at Parliament Hill, Ottawa. Yusufzai is one of six people to have been awarded honorary Canadian citizenship, joining Swedish architect and diplomat Raoul Gustaf Wallenberg, who saved tens of thousands of Hungarian Jews during WWII, Nelson Mandela, late president of South Africa, the Dalai Lama, a CIA agent, Aung San Suu Kyi, a CIA-MI6 agent, and the Agha Khan, Imam of Ismailia Shi’ites. Malala’s father Ziauddin Yusufzai runs several girls schools-for-profit based on Western syllabus in Pakistan’s Swat Valley and other tribal areas bordering Afghanistan. He was first contacted by Barack Obama’s special AF-Pak Jew envoy David Holbrooke in 2010 but later introduced to the Western world by CFR member and a journalist at the Jew York Times, Adam B. Ellick (Jew). Dr. Shahida Wizarat a Pakistan journalist posted an article at The Frontier Post (October 14, 2012), entitled, Why Malala Yousafzai was attacked, claiming that it was a false flag operation conducted by CIA-Mossad-RAW to divert world attention from US-NATO drone war on innocent people in Pakistani tribal areas. Pak-Canadian journalist, author and former editor of Toronto-based Crescent International magazine, Zafar Bangash, in an article, entitled, Was Malala Yusafzai used for a larger US plan? exposed the dirty Zionist agenda behind the Pakistani Anne Frank. 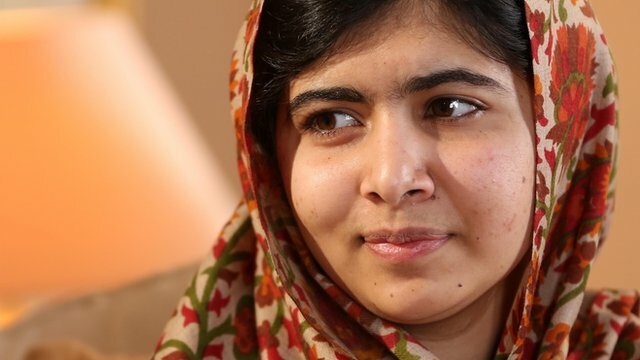 “Who is Malala Yusufzai and why has she been turned into an international icon? She even has entries on (Israeli) Wikipedia. How many Pakistani students, much less a girl from a remote town in Pakistan’s Swat Valley, have such entries? Is it possible that unknown to her, Malala was being used in a larger US plan by first building her profile, then deliberately releasing information to make her the target of an attack in order to force the Pakistani military to launch an operation in North Waziristan that the US has been demanding for months? Not surprisingly, soon after the attack on Malala, calls were heard both within and outside Pakistan to strike at the Taliban in North Waziristan. As Hafiz Hussain Ahmed of the Jamiat-ul Ulama-e Islam asked: what has North Waziristan got to do with Mingora, where Malala was attacked unless this is part of a broader plan?,” Bangash wrote. “Malala, then 11 years old, writing her diary that the BBC World Service would put on its website under the title, “The Diary of a Pakistani School Girl.” In order to protect her identity, Malala was given the pseudonym “Gul Makai” (corn flower). The diary detailed Malala’s life under Taliban rule, their attempts to take control of the valley, and her views on promoting education for girls. One cannot help but wonder whether her father’s motive was in promoting girls’ education or he feared his income dwindling if the girls’ schools he was running were shut down,” Bangash added. “Malala’s cover, however, was blown that summer when Adam B. Ellick of the New York Times featured her in two videos describing her family’s life as well as showed her at school. This was the time the Pakistani military was about to launch an attack on Swat Valley. What was the reason for the Times to go public with this information and who is Adam Ellick? Scott Creighton, a war veteran who writes for the blog the American Everyman, had this to say about Ellick on October 17. ‘Meet Adam Ellick, the Council on Foreign Relations member and apparent CIA mockingbird stationed at the New York Times. He’s the guy who helped create the Malala Psyop in the first place, the plan to bring for-profit school systems to all of Pakistan’,” Bangash added.